The XSEBA Black Edition is set to become a mainstay of Rodania's collection, not least thanks to its striking character, high-energy design, and an abundance of aesthetic and functional details: steel case, black fluted bezel, tachymeter scale on the flange, "lozenge" guilloché dial and red centre seconds hand with the Rodania logo as counterweight. The display back reveals the Valjoux 7750 movement. 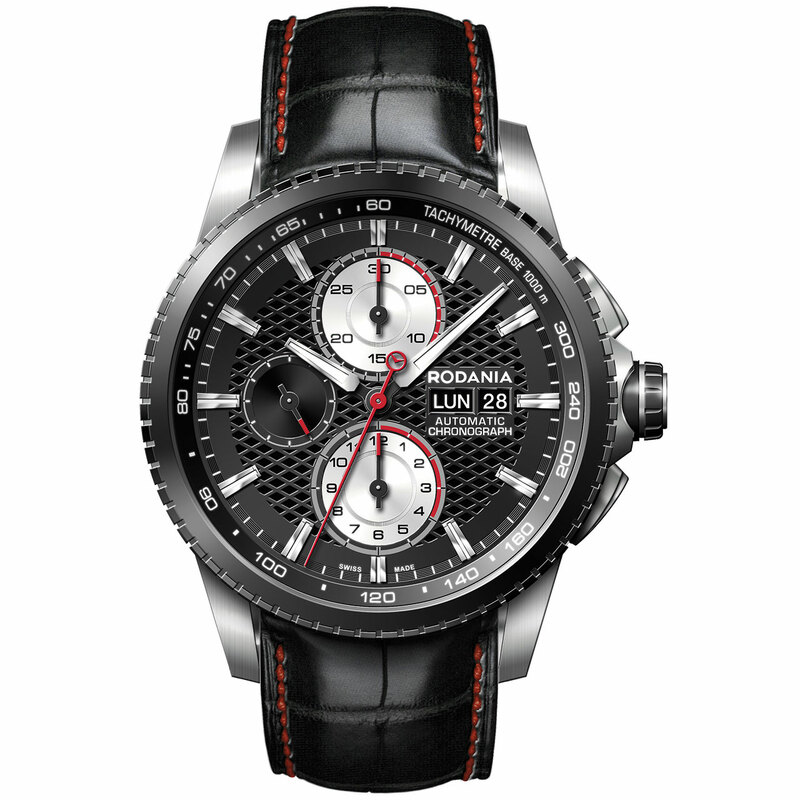 A powerful visual statement and a technical tour de force for this chronograph, which Rodania proposes as a special series.